If you are a publisher of children’s books, you understand the importance of artwork in your publications. Children react visually and enjoy books that are filled with artwork and images that are awe-inspiring. The artwork is the final touch for any STM or eBook, but it is also the most important part. This means that you have to carefully consider a children’s book illustration service provider before you make a final decision. 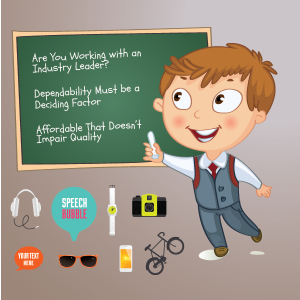 Are You Working with an Industry Leader? It is essential that children’s book publishers look for children’s book illustration service providers that are known for being a leader in the industry. As a top book publisher, you need to work with the best to ensure that your children’s books maintain the highest level of quality. Experience is a factor that needs to be considered. It is integral to work with professional artwork designers that understand books by inception. Dependability is another overriding factor that needs to be given great consideration when publishers are searching for a professional illustration service provider. You need a book to be created that is full of text and image content that appeals to children. The idea of the text within the book needs to be brought to life through the artwork. It takes great skill to create a children’s book that can capture the attention of young kids. It is also important that you choose an illustration service provider that has experience with creating eBook and STM books. This will minimize the number of issues that arise during the book creation process. Not only is quality a consideration, but the cost is also an important factor. As a top publisher, you need to take cost into account without sacrificing the finished product of the children’s book produced. The artwork designs need to be original and captivating, but also affordable. This can be a difficult balance to achieve when searching for artwork services. Even though it is difficult, it is not impossible to find affordability that still retains quality. At Print2eforms, you get access to the most cost-effective illustrations provider, but still, obtain high quality and efficiency that you desire. The right illustration services combined with our publishing services can create a great team going forward. PreviousPrevious post:B2B Sales Executives Required: Join the Winning TeamNextNext post:Are You Using the WRONG Website for Artwork Service?